Interview with Best of Broadway. (from left) Conor McGiffin, Caleb Reese Paul, and Verne Windham. 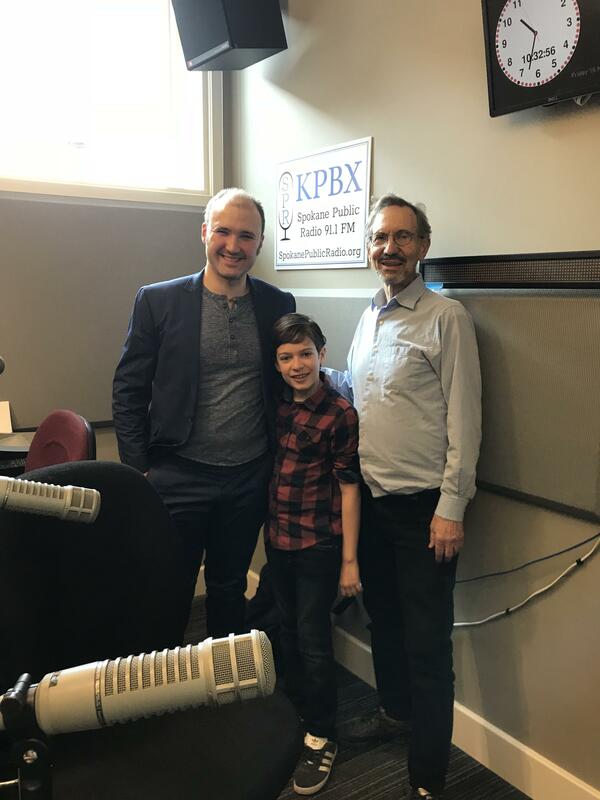 Actors Caleb Reese Paul and Conor McGiffin from Best of Broadway brought a little magic to the studio this Friday morning as they talked about their current production: “Finding Neverland.” This enchanting musical tells the story of the people and events that inspired Scottish playwright J.M. Barrie to create Peter Pan over a century ago. Performances will be at 2 PM and 7 PM on November 17, and 1 PM and 6:30 PM on November 18 in the newly renovated (and renamed) First Interstate Center for the Arts. Director Chris Hansen paid a visit to the studio with Steven Schneidmiller, who produced the film and sound components of Spokane Stage Left Theater’s upcoming play, “Daisy.” Based on true events, it explores the moment in television history that launched the age of negative advertising, and forever changed how we elect our leaders. Performances will be at 7:30 PM November 16 & 17 and 2 PM November 18 with more shows at the same time each week through December 2. This production contains adult themes and may require parental guidance. Director Ashley DeMoville and actor Jake Promitas of SFCC’s Spartan Theatre visited the studio today to deliver the details of their wacky new play, “Merry Men.” Featuring mistaken identity, music, sword fights, and poorly trained attack ferrets, it’s a comedic retelling of the classic story of Robin Hood— without Robin Hood. Performances will be at 7 PM November 8 – 10 and 2 PM November 11 with more shows at the same times next week.